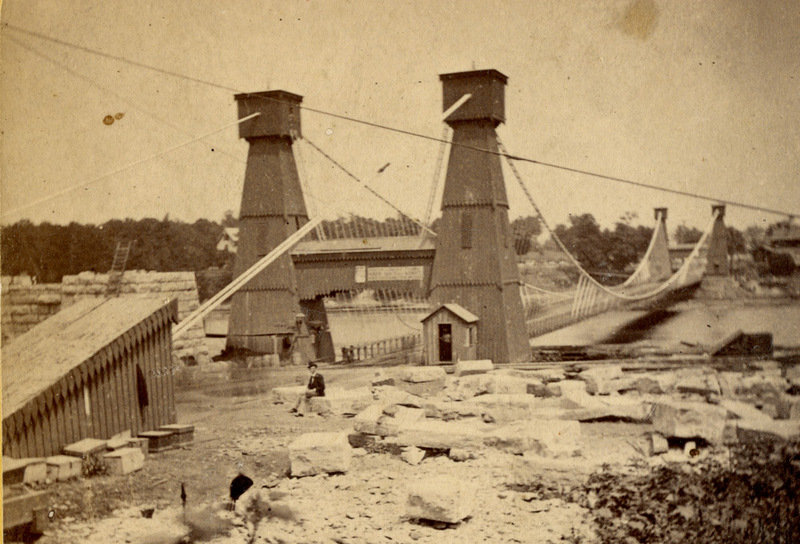 Throughout the 19th century, and largely different from today, people approached the Falls from the south side. 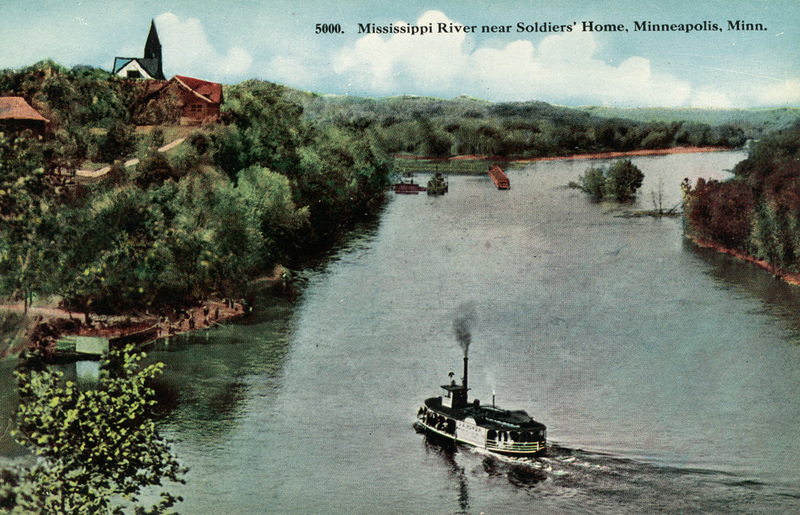 Upstream on the road–now Minnehaha Avenue–there was indeed a bridge over the creek, but the roadhouses and hotels and such were south of the creek, and the railroad depot (when the railroads came in) was put where the people were, on the south side. 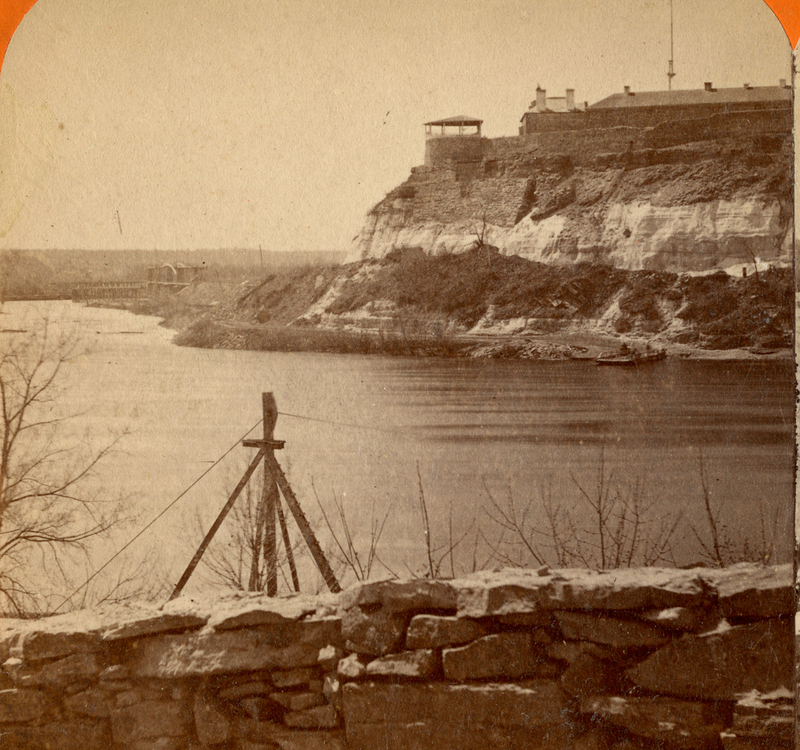 It was closer to the Fort, after all, and the Fort was the only legal settlement in the earliest years. 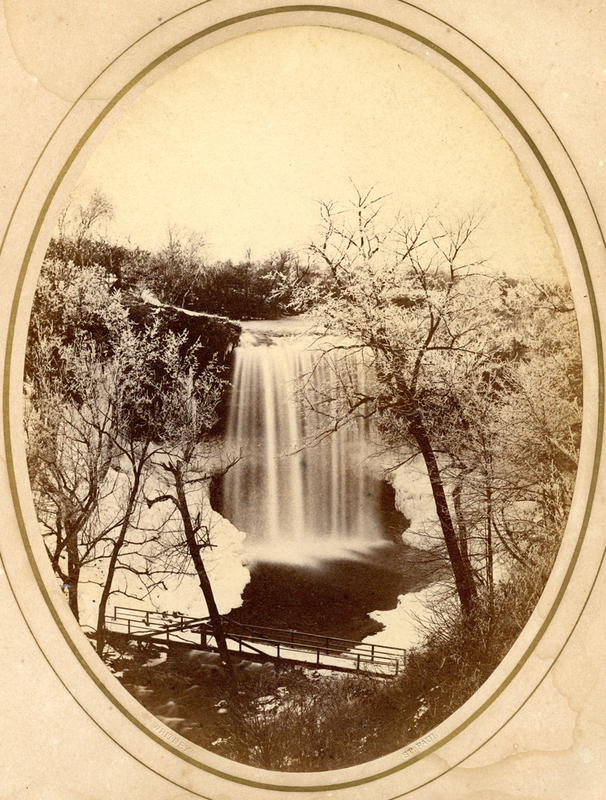 Minnehaha Falls were within the military reservation at the beginning of European settlement in Minnesota. 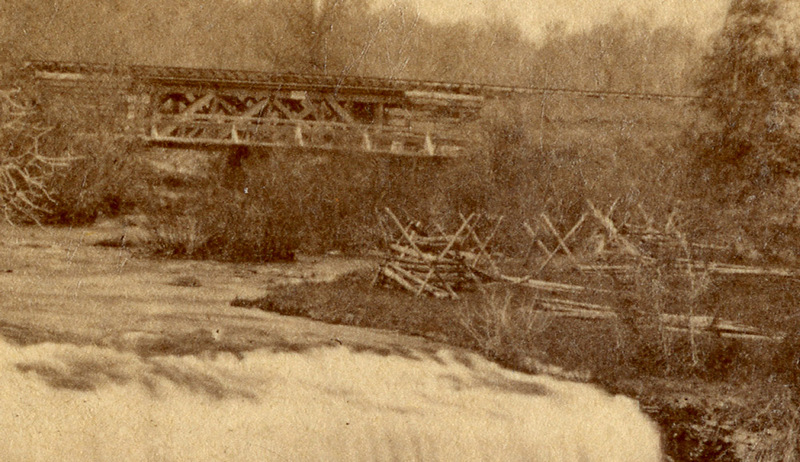 Someone, some time in those early years, built a bridge to allow people to cross the creek below the Falls. 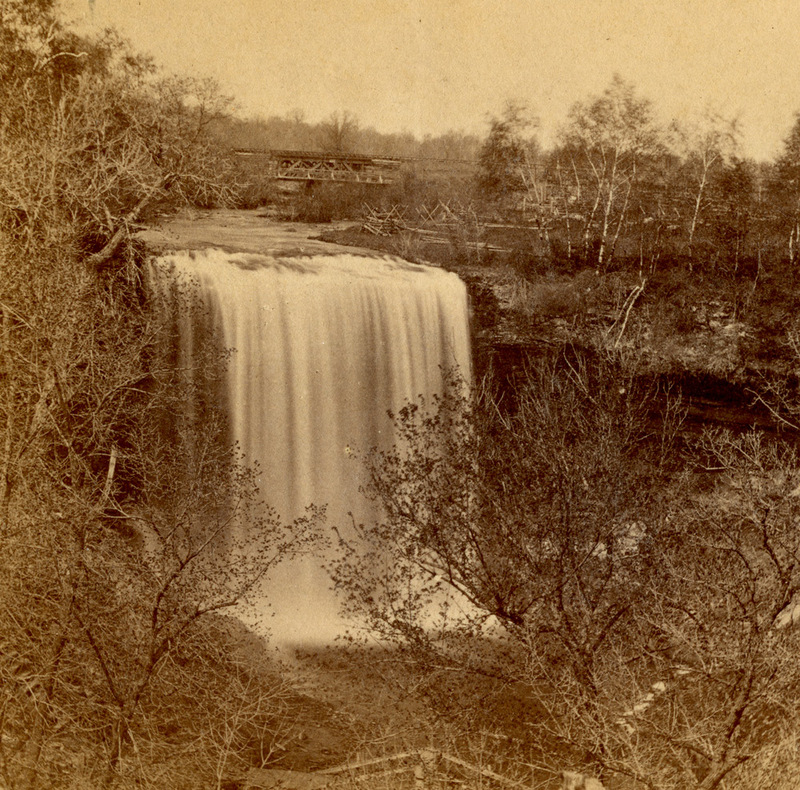 Early spring, the snow is melting, the creek is thawed and the falls are falling. 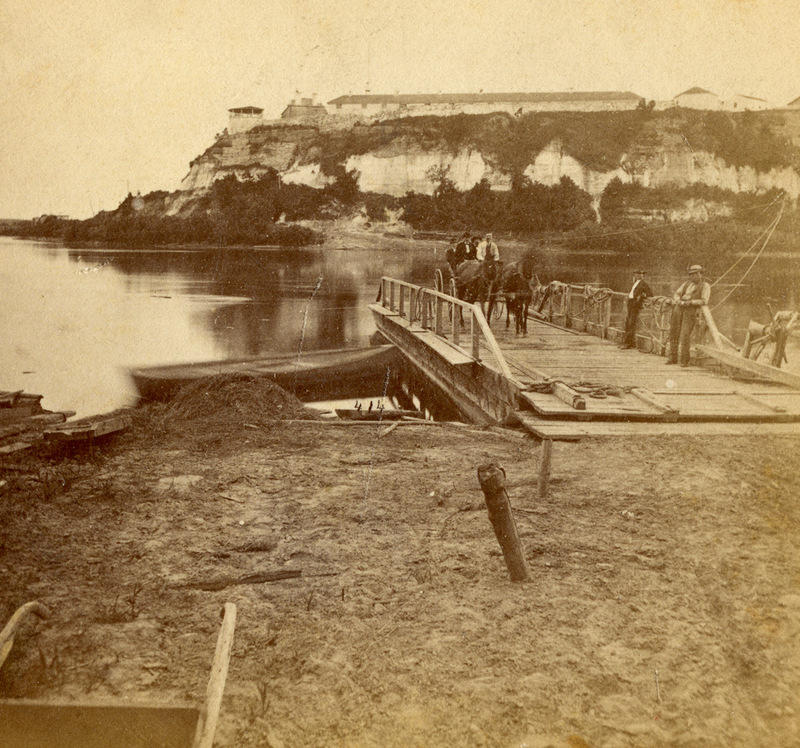 An undated picture by Joel E. Whitney, possibly from the 1850s. 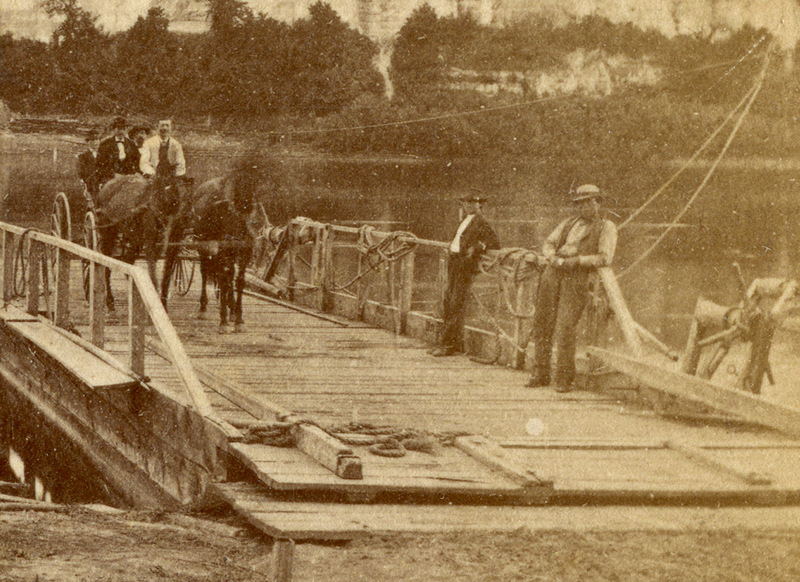 From the urbancreek.com archive.